Looking for a personalized gift for a loved one? You can’t get much more personal than DNA. Here’s our lowdown on DNA testing kits. When we were kids and wanted to learn more about our families, we’d likely sit down with our parents and grandparents and ask them questions. They’d tell us where our ancestors were from, what made them immigrate to America (or elsewhere), and perhaps even where they first landed. The knowledge our parents had come from their parents, and the knowledge of our grandparents derived from their parents. History was word of mouth – whether true or not. Nowadays, we have a more accurate of finding out our origins: DNA testing. While DNA testing has been available for a while, today it’s easier than ever. In the early 2000s, a now-defunct company by the name of Genetree came out with direct-to-consumer genetic DNA testing. It started out with paternity testing, and later moved to multi-generational DNA testing, enabling customers to learn more about their origins, health risks, and more. In 2007 a company called 23andMe began offering saliva-based DNA testing and was the first to implement using autosomal DNA for ancestry testing. Today, multiple companies offer DNA testing and this year alone it’s estimated that over 12 million people underwent DNA testing for genealogical purposes. With so many companies out there, it can be hard to know what DNA test kit to choose: some focus solely on ancestry while others focus solely on paternity. Some DNA test kits specialize in health and can even tell you which diet is best for you. At its core, Nutrisystem is a weight loss company. It started out by offering a 28-day program that delivered meals directly to your door. You can’t get more convenient than that! The company provided breakfast, lunch, dinner, and dessert and allowed you to add side items such as fresh fruit and veggies throughout your day. 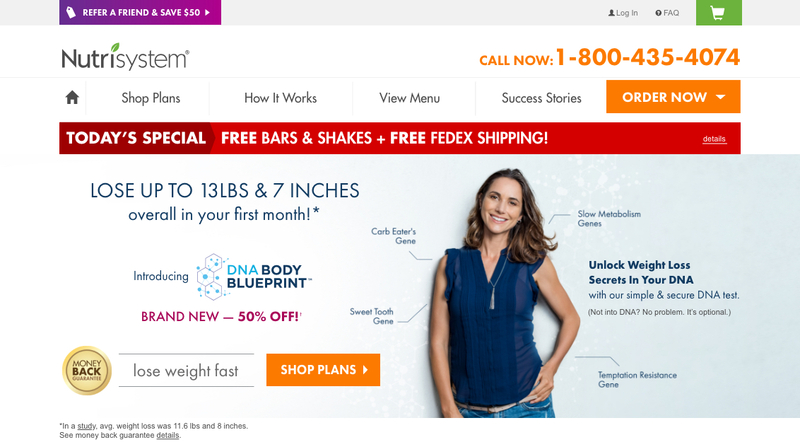 In July of 2018, Nutrisystem took its weight loss program one step further by offering DNA Body Blueprint. 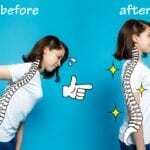 DNA Body Blueprint is an at-home DNA testing kit whose goal is to “unlock your body’s weight loss secrets” in order to provide you with a more personalized weight loss program specific to your DNA. 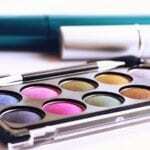 How Does Nutrisystem Differ From Other DNA Kits? 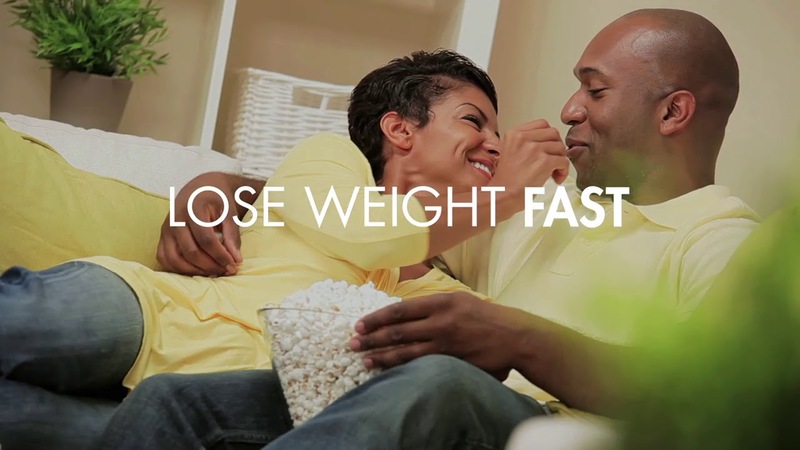 Nutrisystem DNA specializes in weight loss. Its goal is to analyze your DNA in order to tell you what diet is best for your body type. “By providing a personalized overview that is the ultimate roadmap for an individual’s ongoing nutritional needs, this product delivers on our mission of helping consumers make more informed choices and achieve outcomes that drive overall health,” commented Dawn Zier, President and CEO, Nutrisystem, Inc.
How Does Nutrisystem’s DNA Blueprint Kit Work? Seriously – it’s that easy! What Will Nutrisystem’s DNA Blueprint Kit Tell You? 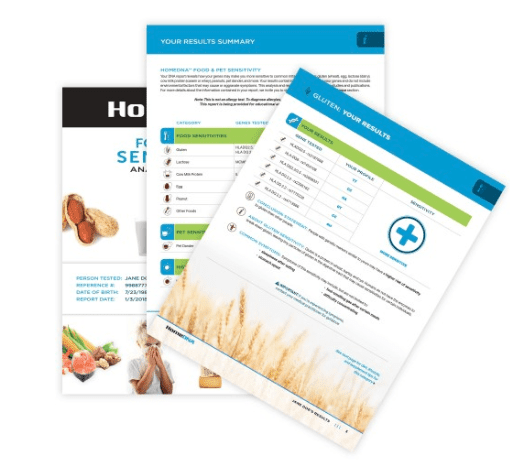 Once the results are processed, Nutrisystem will send you a 30-page report outlining your results. It will include suggestions for what you should and shouldn’t eat, as well as additional tips on what your genetics will most benefit from while on your weight loss journal. For some people, this means embracing a more vegan lifestyle. For others, this may mean simply enjoying more low-carb recipes or even cutting out dairy. Everyone is different. If you are looking for an ancestry DNA kit, keep looking. This is not the DNA test kit for you. However, if you are interested in learning more about how your DNA can help you lose weight, this is the best DNA testing kit on the market. While competitors offer similar services, they are not as detailed as Nutrisystem’s. How Does HomeDNA Differ From Other DNA Kits? HomeDNA offers a variety of DNA kits that can provide you with information on your ancestry, paternity, skincare, weight-management, and allergies. What’s more? It even offers several lines a pet DNA testing kits so you can learn about their mixed-breed lineage as well as screen for genetic diseases and traits. 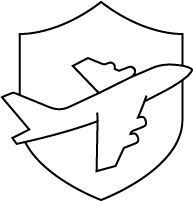 While most expensive than other DNA kits on the market, it provides more detailed briefs specific to your genes and family migration patterns. For example, its most popular test, the GPS Origins Ancestry Test, analyzes 800,000 autosomal genetic markers, 862 reference populations and 36 gene pools and may even reveal the village where groups of your early ancestors first met! Like most direct to consumer DNA kits, HomeDNA’s just takes a few minutes and a cheek swab. What Will HomeDNA Tell You? HomeDNA’s ancestry tests focus on gene pool regions and will pinpoint your ancestry with GPS coordinates that you can see on a map. For example, it may tell you that your DNA is comprised of three different gene pool regions such as Fennoscandia (Norway, Sweden, Finland, and a part of Russia known as the Kola Peninsula), Basque Country and Southern France. It will then enable you to see your family’s DNA migration patterns on a zoom-in, zoom-out map. You can even click on various places to learn about what your ancestors experienced. In total, the map will enable you to visualize where your maternal and paternal lines migrated and eventually co-mingled. Do you suffer from allergies, acne-prone skin, or other health ailments that you haven’t been able to pinpoint the cause? Health and beauty DNA tests may be your solution. HomeDNA provides you with information about your past. If you were even curious to know where your ancestors met or what their life was like, this is the best DNA kit for you. 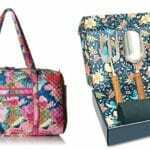 Unlike other at-home DNA kits such as 23andMe and MyHeritage, however, it does not search for genetic matches in its database or have family tree software. 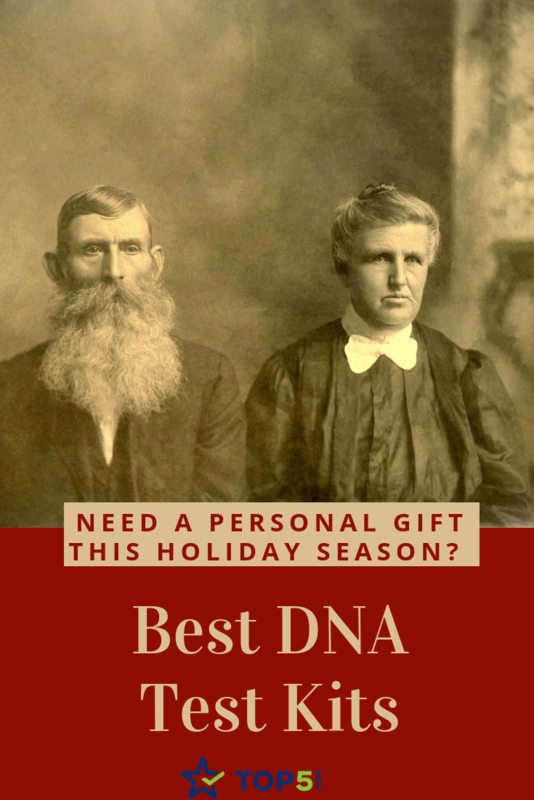 So – if you’re looking to be connected with distant relatives or put together a family tree, this will not be the best DNA kit for you. 23andMe is one of the better-known DNA testing kits on the market. Named 23andMe after the number of unique chromosomes a person has, it provides autosomal, mitochondrial, and Y-DNA testing to provide you with insights into your personal genetics as well as your ancestry. How Does 23andme Differ From Other DNA Kits? 2andMe is the only DNA test kit to offer health and wellness screenings in addition to autosomal testing. Its basic package, “Ancestry,” focuses on ancestry and divvy your maternal and paternal lines. It can even show you how much Neanderthal DNA you have! The more deluxe package, “Health + Ancestry,” include health screenings which can provide you with information on genetic illnesses, health risks, carrier status on health conditions, and any health risks that may run in your family. Choose your kit. The saliva collection kit is the same for both services should arrive within 3-5 days or purchase. Unlike other kits that use cheek swabs, 23andMe asks you to spit into a tube. You will receive an email in 6-8 weeks letting you know your report is ready. Log in to your 23andMe account and read your results. What Will 23andMe Tell You? A timeline feature will also be provided, which tells you how long ago your most recent ancestor lived from each region. 23andMe enables you to share and compare your DNA with other 23andMe users. It also has a family matching tool which will connect you with relatives whose DNA is on file. If you select the Health + Ancestry Plan, you will receive everything that is included in the Ancestry plan as well as information on genetic traits and health risks. Though it isn’t comprehensive, it is FDA approved and provides you with 125+ reports and can let you know if you are predisposed to diseases such as Parkinson’s and late-onset Alzheimer’s. It also informs you of your carrier status for over 40 conditions, including cystic fibrosis. Overall, 23andMe is a well-rounded DNA testing kit that provides you with an overview of your ancestry as well as information on your genetic makeup. The testing process is easy to use, and it’s fun to find long-lost family members you never even knew existed. MyHeritage started out as a genealogy service and later expanded its service offerings to include DNA testing. If you’re curious to see where your ancestors came from but don’t care about health screenings or contacting others’ whose DNA matches yours, MyHeritage may be the best ancestry DNA kit for you. It’s the most basic and affordable in-home ancestry DNA kit we found. Additionally, its turnaround time is faster: you’ll have results within 3-4 weeks. How Does MyHeritage Differ From Other DNA Testing Kits? While most of the in-home DNA testing companies on our list differentiate themselves by providing additional services and testing options, MyHeritage is the opposite: it differs by only offering the bare minimum, but at a more affordable price than its competitors. It also offers free family tree software, as well as the option to upload raw data. This way, if you use another DNA testing kit, you can take this data and upload it into MyHeritage’s system. MyHeritage is simple to use and will generate results faster than competing DNA test kits. What Will MyHeritage Tell You? As we mentioned, MyHeritage specializes in ancestry and will give you an overview of where your ancestors are from, but isn’t as detailed as competitor reports. MyHeritage pulls from 42 graphic regions and presents your findings via musical animation, showing you on a globe where your ancestors lived. However, you are unable to dig any deeper or find out if you have any DNA matches. MyHeritage is a very basic ancestry DNA test kit. If you are only interested in knowing your ancestry and don’t want to spend a lot of money, this is the best DNA test kit for you. However, if you are interested in knowing more about your genetic health risks or connecting with family members via DNA, you’ll be better suited to a different DNA testing company. Ancestry.com has been around for years. If you’ve ever gone online to research your ancestry and create a family tree, chances are you’ve used Ancestry.com. It is the largest genealogy company in the world and has access to over 16 billion historical records. In 2012, Ancestry.com increased its service offerings with Ancestry DNA: an in-home DNA kit that analyzes your DNA to tell you where your ancestors are from. How Does AncestryDNA Differ From Other DNA Testing Kits? 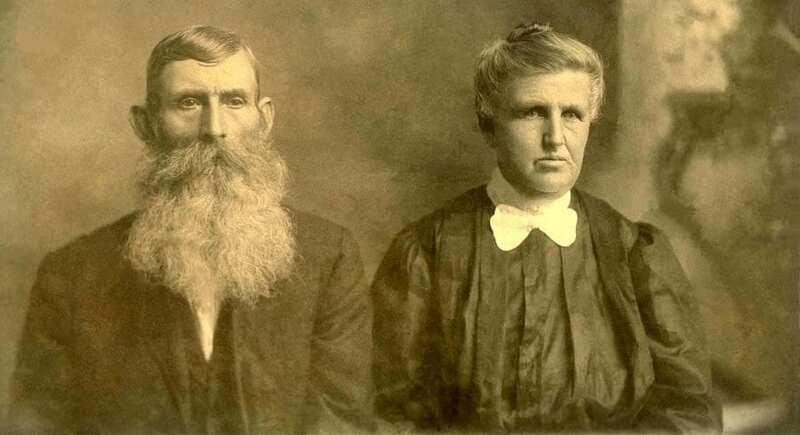 AncestryDNA specializes in family history and genealogy. Unlike some of the other companies on our list of best DNA kits, AncestryDNA will not provide health-related information. It will simply tell you where your ancestors are from and enable you to connect with other members who share your DNA. As it has DNA from more than five million customers, is the best DNA kit for you if your goal is to find out where your ancestors are from and connect with long-lost relatives who share your DNA. AncestryDNA’s large database is another factor that makes it stand apart from the competition. The more samples a database has, the more accurate the results it can provide. How Does The AncestryDNA Kit Work? AncestryDNA is a simple saliva test and like all of the DNA kits we reviewed is quick and easy to use. Fill in your name, click “activate,” and consent to the company’s service terms. You can also link your kit to your family tree if you have already created one. What Will AncestryDNA Tell You? 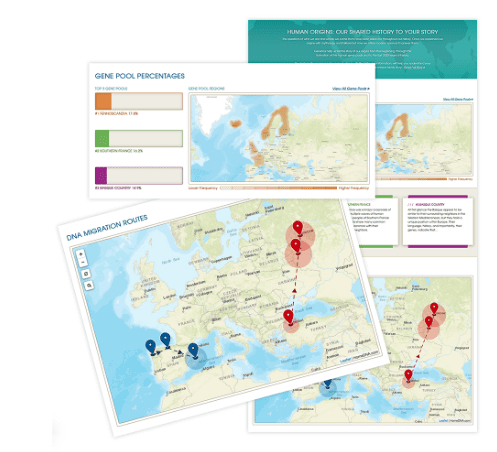 Your AncestryDNA results will look at 350 regions (296 of which are in Europe) and tell you where your ancestors came from. It’s ideal for people with European heritage who want more clarity into where their ancestors are from. It can even get as specific as telling you what country in Ireland your ancestors came from. In addition to ancestry mapping, AncestryDNA will compare your DNA to other members in their database and identify potential relatives. It estimates your relationship, gives you an idea of confidence of the match and allows you to interact with these relatives. AncestryDNA is the best DNA testing kit for people who want to learn about their ancestry and connect with relatives. If you don’t care about health data and are more focused on making connections and building out your family tree, this is the best DNA test kit for you. Have you ever used a DNA test kit to connect with relatives? Tell us in the comments!